Platform with advanced geospatial intelligence for municipalities to manage the full cycle of water distribution and drainage/sewage. To track maintenance and predict failures. To gain operational efficiencies and improved environmental and citizen service outcomes. SmartTerra helps the municipalities in India to transition from paper logs, employee memory and Excel spreadsheets to organized operations and maintenance. SmartTerra is low-cost and user-friendly by taking a mobile-first and cloud-hosted approach. 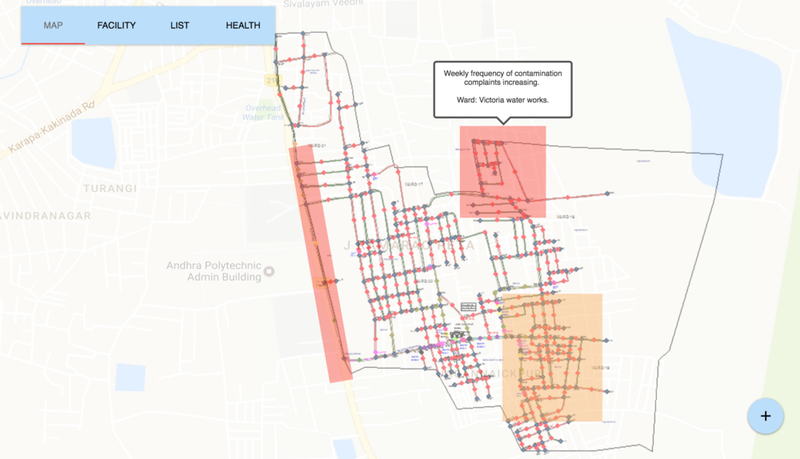 AquaTasks: Maintenance tasks and citizen complaints overlaid on the water and drainage networks (GIS-enabled network maps if available). 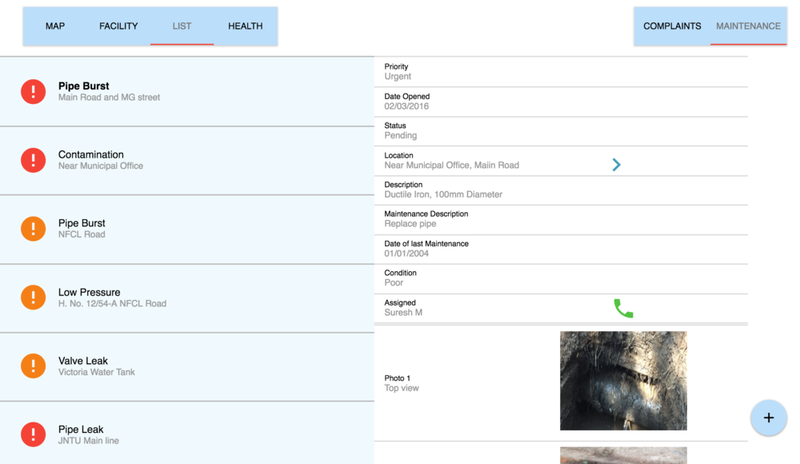 Maintenance resources, workers and expenses can be tracked and managed. Network health is constantly analyzed and tracked. Helps the municipality reduce maintenance costs, predict network breakdowns and extend the life of the infrastructure. 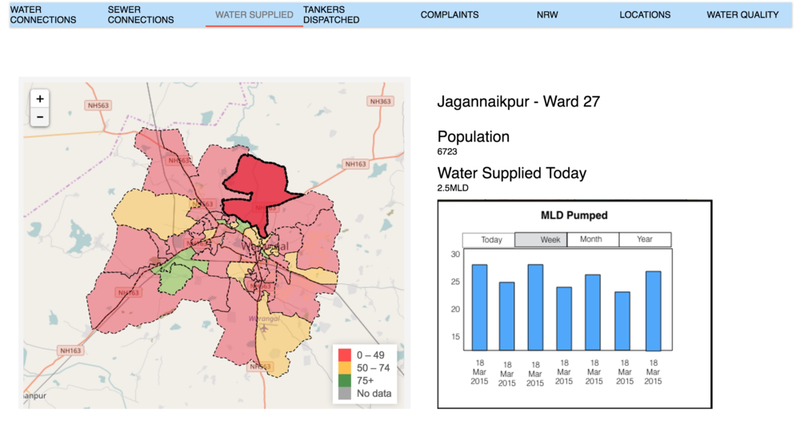 AquaPro: Logging of daily operational details such as quantity of pumped/stored water, water quality tests, water tankers dispatched, etc, and a dashboard for visualizing the data. For historical tracking/analysis of operations to root out in-efficiencies. Helps the municipality reduce NRW, reduce downtime and ensure water quality. 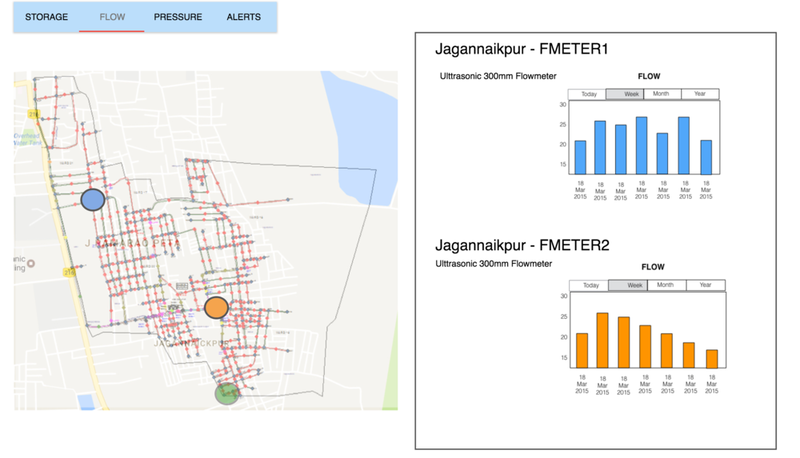 AquaSmart: Intuitive and publicly accessible publishing of network analysis such as daily water supply vs demand; current and future distribution of water/sewage connections in the city; sources of urban water body pollution; infrastructure enhancement, etc. Helps with analysis for city decision-makers and service summaries for citizens. Sign up for updated or go to our Blog.